You may be required to create a printed copy of client history or a PDF that you can email them. To do this is very easy. 1. Click on the Clients menu on the side menu bar. 2. 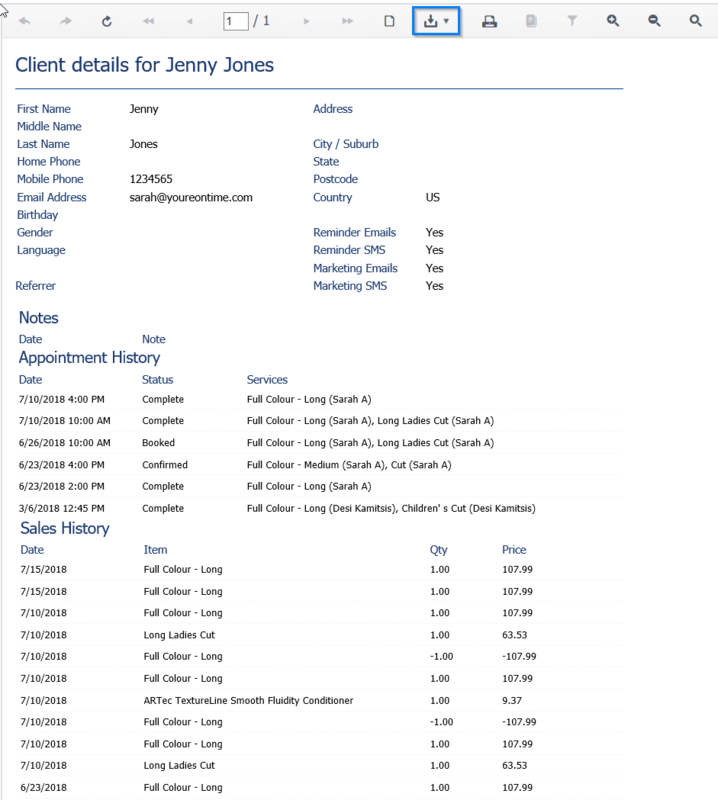 Search for the client you wish to print the history for. 4. 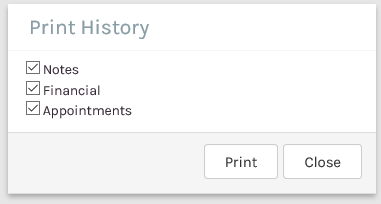 Click on the Print History button on the right-hand side options. 5. 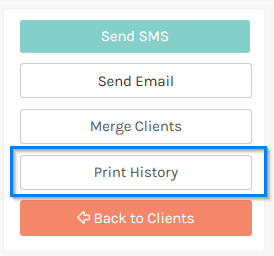 Choose which parts of the client history you wish to print and click OK.
6. If you wish to export this click the Export button on the print preview to create a PDF you can email.